Indian Institute of Technology Madras Researchers have demonstrated the possibility of generating biocompatible lasers from carrots, exploiting a process first discovered by Sir C V Raman who won the Nobel Prize for Physics in 1930. 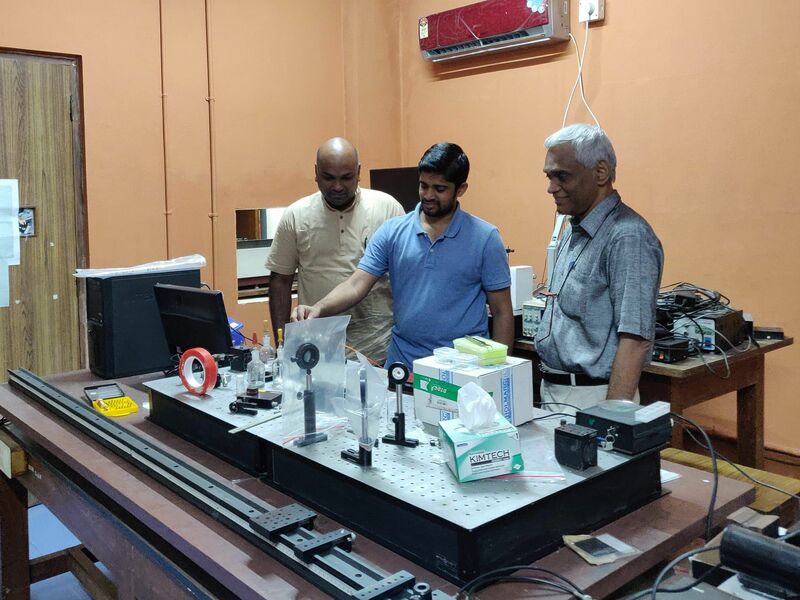 This finding by the IIT Madras team, a first-of-its-kind development even globally, promises significant advancements in scientific and industrial research on optical spectroscopy and sensing. Apart from being bio-friendly, the system they envisage is robust and reliable, with good and linear response to temperature. Lasers are ubiquitous sources of light with extraordinary properties such as a high degree of directionality and sharpness. They are indispensable in a dazzling range of products and technologies including communication, lithography, medicine, military operations, scientific research, engineering, displays, and data storage. In this case, a particular class of lasers called ‘random lasers’ have been demonstrated in carrots where a Raman process plays a central role along with the cellulose network. The Research was undertaken by a team comprising Prof. C. Vijayan, Physics Department, IIT Madras and Dr Sivarama Krishnan, Assistant Professor, Physics Department, IIT Madras, along with Venkata Siva Gummaluri, PhD Research Scholar, Physics department, IIT Madras.